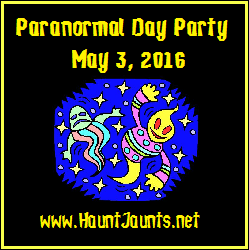 Haunt Jaunts, a cool website that specializes in paranormal tourism, is hosting Paranormal Day this May 3rd, so I wanted to share a blog about Haunted Houses in literature. There are countless stories out there involving houses that are haunted or that have some paranormal relevance, but few have given me the sense of foreboding quite like the Marsten House in ‘Salem’s Lot by Stephen King. Author Ben Mears goes back to his home town to write a book about the Marsten House, after his last works have fallen flat in the public’s eyes. When he was a young kid, he visited the house on a dare and saw the vision of it’s previous owner, hanging from the ceiling. When a local businessman comes to town and purchases the home, people quickly start to go missing. Ben decides it is a beacon for evil, enticing the wicked to sleep under its roof. The descriptions through out the book are so real, you feel like you are walking the grounds, or the halls; almost smelling the mildew and rot of the old house as you flip the pages. The Marsten house, though not fully central to ‘Salem’s Lot, acted almost as a character in the book, which brings me to the next house. Hill House from The Haunting of Hill House by Shirley Jackson. This book is a classic, and was published in 1959. In the book a paranormal investigator, Dr. Montague, along with the heir to the house, Luke, our MC shy Eleanor, and boho Theodora, all stay in the house to witness any strange events. The tension-filled, descriptive writing of Jackson is a great take on the age-old story, and the supernatural presence escalates along with Eleanor’s mental state. It is never said whether the hauntings were real, or figments of Eleanor’s mind, but the evidence of suicides and other violent deaths urge us to believe the house indeed is in evil incarnate. For anyone wanting a great story about a haunted house, this is it! Perhaps a lesser known story but one almost equally evocative of the genre, is The Elementals by Michael McDowell. It is a wonderfully written book, telling the story of a family of old money from the south. They all get together when a family member dies, and they spend a summer together at their old, Victorian houses on the Gulf coast. A place where strange things happened years ago, and continue to happen. Two of the homes stand normally, the third is filled with sand, and when investigated, they find much more than sand inside. A subtle horror story that takes a while to get cooking, but when it does you won’t be let down. While the Victorian sand-filled house, doesn’t carry the same weight as the Marsten house, or Hill House, or the Overlook Hotel for that matter, it holds its own for me in the haunted house section at the book store. I read all of these books last year in a preparatory effort for Woodbridge Press’s first book, The Haunting of Lake Manor Hotel. For those of you that don’t know the premise, I invited 13 authors to write about a character staying in my fictional hotel, Lake Manor. They were all given back story, and details on the shared setting and hotel staff. Then they were issued a room number, and they made the story happen. It was fun to watch it grow from some details on a page, into an entity of its own. Lake Manor played a major role in the book, whether the authors focused on their room, or the Lake next to it. The authors worked together on occasion to incorporate shared events, or hidden gems in their stories. So in honor of Paranormal day, please give one of these books a try. The Haunting of Lake Manor Hotel is on sale this week for 0.99 so take advantage of it and give a new, exciting collection a try. Buy it Here! Give the Look Inside a try first if you’re sceptical and try Anna Dickinson’s story. You are in for a treat. There are many iconic haunted hotels and homes in film too from The Shining, to the ‘eyes’ of Amityville, to Poltergeist, but I still love the haunted houses on paper the best. What an awesome post! I never heard of The Elementals. Guess I just found another book to add to my Wish List! And Your Haunting of Lake Manor….sounds like you AND the authors had a lot of fun putting that together! Thanks again for sharing a copy with me. I’m looking forward to reading it. i just need to buckle down and make time for reading. (Summer’s coming. I do get some reading in by the pool on weekends. looking forward to that!) And thanks for being a ParaDayParT goer! I haven’t read it, but should get to it sooner than later. Thanks!